There is nothing better than a good manicure and pretty nails to save the day other than, of course, lipstick. In fear of getting yellow or damaged nails a lot of women opt for good quality, breathable nail polishes. Water permeable nail polishes are still debatable but if they prevent nail damage than I am a happy flaunter (princess wave). Say hello to *Maya Nail Polish, another great brand which is breathable and absolutely wudhu friendly, Yaas! One thing that is always a bummer for me while using water permeable nail polishes is that they chip very easily. I also don't get the concept of Peel-able nail polish. For very obvious reasons I find them frustrating. How many times am I supposed to peel off and then re-apply?! Using MAYA Nail polish was a refreshing experience. 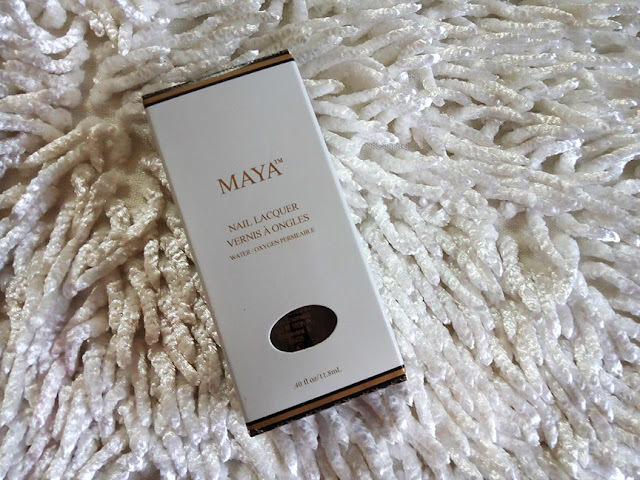 Maya Cosmetics is a new brand (made is USA) that has created halal, wudhu-friendly, cruelty-free, vegan, physician approved nail polishes. That's a lot of good in one little bottle. Simple packaging, though has a potential to be better, some text is a bit faded, specially on the bottle itself and at times hard to read. I do like the shape of the bottle as well as the slim brush that makes application easy. 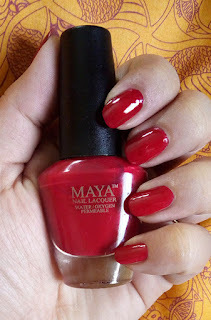 The best thing about this nail polish is that its very pigmented, I only required one application for a rich coat. 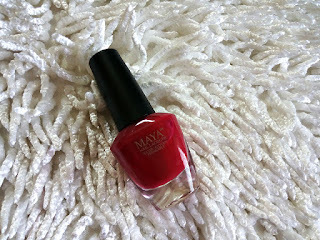 Usually water permeable nail colors are thin in consistency but that is not the case with MAYA nail polish. Another good point is that it is long wear and doesn't chip as easily as other water permeable nail polishes I have tried. Using a top coat (maya has one) also helps further. Smooth application and dries quickly as well, saves a lot of time and you don't need to blow on your nails like a mad person. There are 24 lovely colors and finishes to choose from. The shades I received, other than a clear top coat, were a creamy Lavender shade called "Dahlia" and a deep cherry red called "Shirley Temple". I only applied one coat in the photos shown below. 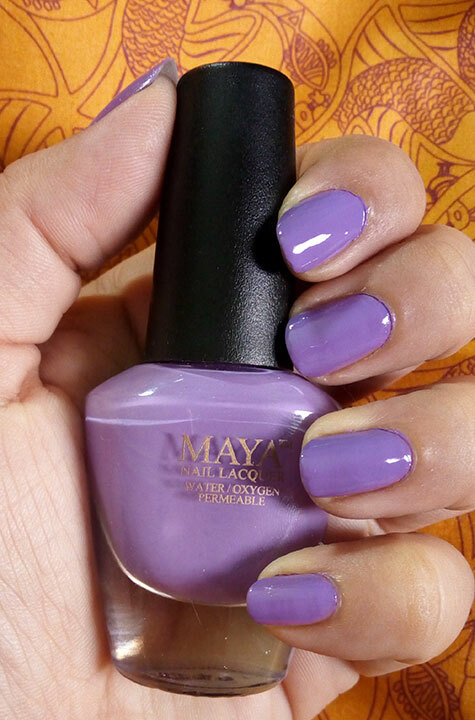 You can buy MAYA nail polishes online from their WEBSITE for $14. However, in Pakistan, you can contact them on their official Facebook Page HERE. Have a great weekend Maliha! Wow seems like nice nailpolishes. I will have a try. The swatches are very nice. psst you are never aloud to wear nailpolishes and do wudu it will break the wudu. Hi! I love the review! I had seen these polishes around on instagram where I post all my nail pictures as a nail artist @uptown.nails but I wasn't sure if they were actually worth buying! They do sound promising, and any polish that is a one-coater is definitely worth it in my books!